Every element of a built environment can have a considerable positive or negative impact on our state of mind and emotional well-being, or so we like to think. But how can we prove it? That's where evidence based design (EBD) comes into play. Fortunately, as research on the psychological and neurological impact of certain design elements is constantly being enhanced, designers are more equipped than ever with objective facts to back up their seemingly subjective choices. Two Great Events – One Low Price in Washington, D.C.
Come to Washington, D.C., in April for the 2015 Design to Lead Summit and the ASID Legislative Symposium. A combo ticket to attend both events is available for $375 (ASID members) and $525 (non-members). Register today. The 2015 Design to Lead Summit will take place on Monday, April 13, and will provide the next generation of design leaders with the education and skills needed to succeed as they take on next step management roles. Attendees will gain an introduction to key leadership competencies, expand their networks, and learn from the diverse experiences of experts via keynotes, panel discussions, interactive breaks, and a closing reception. Attendees will receive at least five continuing education hours (pending IDCEC-approval). Learn more and register today. The 2015 ASID Legislative Symposium will be held Tuesday and Wednesday, April 14-15, and will provide the training and knowledge needed to preserve practice rights at both the state and federal legislative level. Attendees will earn up to .4 CEUs in breakout sessions focused on building codes and standards, lighting design, the evolution of interior design in the building industry, and national updates on interior design-related legislative activity; will learn to engage in the legislative process and receive unique advocacy training led by Soapbox CEO Christopher Kush; and will engage with legislators on the technical and scientific aspects of the interior design profession and how it contributes to each state's economy during ASID Hill Day. Students who attend the ASID Legislative Symposium will receive an additional discount — $170 (ASID member price), or $220 (non-member price, which includes a complimentary student membership). Learn more and register today. Click here to download the Color Trends 2015 color palette. Attend a Benjamin Moore event and earn CE credits. Join ASID for an exclusive ASID Accelerate Studio event taught by Steve Nobel of NOBELINKS on April 30 in Charlotte. Developed with small business owners in mind, the workshop series is an investment in your business and will provide proven tools and techniques for designers new to the profession and for those who are prepared to take their design businesses to the next level of professionalism and profit. The workshop series features six Interior Design Continuing Education Council (IDCEC)–approved sessions that focus on topics to help interior designers build successful, sustainable businesses. Attendees can participate in the full-day program or choose sessions a la carte. Learn more and register today. How Will Your Chapter Support the Chapter Challenge in 2015? The ASID Foundation's Chapter Challenge is an annual fundraising program that supports the important work of the Foundation. Each year, the Society's 48 chapters are challenged to meet an assigned fundraising goal, with the aim of raising $100,000 to support the programs and projects the Foundation sponsors annually. Among these endeavors are The 1% program, the Transform Grant, the Foundation Scholarship and Awards Program, and the Leadership Academy. Each chapter can make a significant contribution to reaching this landmark goal. There are many ways for chapters and members to participate, from organizing a chapter fundraising event, to encouraging others to make a contribution. Learn more. 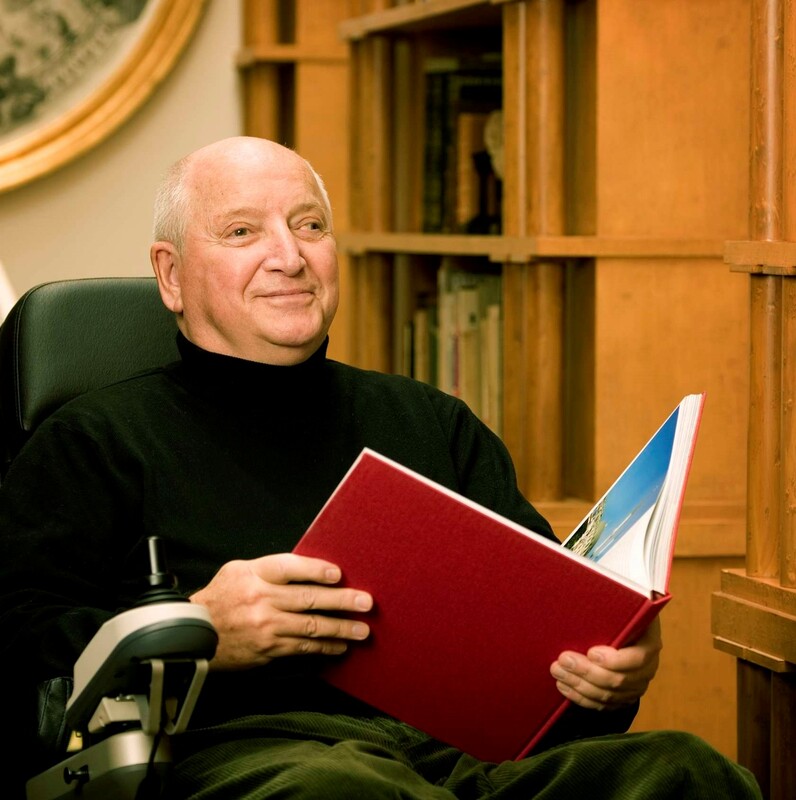 ASID is extremely saddened by the passing of Michael Graves. As one of the most prominent and prolific American architects of the latter 20th century, Michael inspired many of us. He was an extraordinary designer and mentor who had a deep understanding of the impact of design. In 2003, when he became paralyzed from the waist down from a spinal cord infection, he focused much of his attention on designing for people with disabilities. The items he designed included a wheelchair, heating pads, bathroom handrails, and accessible homes for the Wounded Warrior Project. ASID is pleased to offer a new online Business of Design series that will provide you with practical information you can apply to your business immediately, and will get you started on completing your ASID CEU requirements. The four-course series, totaling .7 IDCEC CEUs, will provide a solid foundation on which to build your business, and will focus on four crucial areas of business acumen: Setting Your Intentions, Attracting Clients, Managing Projects, and Sustaining a Practice. The next reporting deadline is Dec. 31, 2015, and requires 1.0 CEUs. Start learning and earning now. Learn more. Register for an ASID REGREEN Workshop this spring to learn how to provide environmentally-respectful interiors through design. The REGREEN Implementation Workshop is the nation's first and most comprehensive green residential remodeling program. Gain key information for both residential renovations and small commercial projects. Part of the REGREEN Trained™ certificate program, the workshop offers 0.8 HSW CEU (IDCEC), which can also be used for LEED CMP. Learn more and register. with more cities coming soon. Register today to earn up to .8 (HSW) hours of CEUs. ASID Education is embarking on a new approach to enhance our educational library through a call for education proposals. This method will cast a wider net, giving qualified candidates the opportunity to submit proposals to be considered for inclusion in the ASID library of educational programming. All accepted proposals will be approved for continuing education credits (CEUs). Programs and presenters will be utilized at various ASID local and national educational events, at live industry events, and online. The ASID Foundation provides scholarships and awards for individuals like you — dedicated to advancing the profession of design. Applicants are awarded financial assistance for their outstanding work in interior design research, behavioral science, business practice, design process, theory, and more. Awards of up to $5,000 are available for undergraduate students, graduate students, and educators. Both ASID members and non-members are eligible and can apply at no cost. Applications will be accepted from March 1 – April 30, 2015. Rich floral colors are expected to be in full bloom this coming season — not only in the garden, but also in all elements of home decor. That's the forecast of SICO paint in unveiling its top colors for spring and summer 2015. Think deep pastel tones, such as blue hydrangeas, dusty pink roses, saturated orange, and turquoise peonies, sunflowers, clay gray stones, and reddish-brown vines. American renters are growing more confident in the housing market, and millions are planning to buy a home this year, according to the Zillow® Housing Confidence Index. "As home affordability continues to look great and rental affordability looks abysmal, many current renters clearly seem to be re-thinking their attitudes toward homeownership," said Zillow Chief Economist Dr. Stan Humphries. Fifty-two percent of those 75 and older live alone, according to a new Merrill Lynch retirement study conducted in partnership with Age Wave. The number of aging Americans living alone or without children points to an increasing need for assisted living and other types of supportive services. With greater freedom to choose where and how they want to live, retirees are focusing on making their last home their best home. Modifying their homes to be more age-friendly is important to some, but most have or plan to undertake projects to make their homes more aesthetically appealing, comfortable, and functional. All this activity is helping to propel the home renovation industry, and likely will continue to do so for the rest of the decade. Adjustable keyboard platforms are a great way to provide maximum ergonomic benefits and greater levels of comfort for any workforce. When used in conjunction with fixed height worksurfaces, or with height adjustable worksurfaces, an adjustable keyboard platform can improve the overall usability and ergonomic functionality of the entire workcenter. A mixture of meticulous planning and some simple tech tools can help manage the workflow of your team so the firm can stay on pace with its projects without its employees working excessive overtime. Your contract is key. We hope you cover the (boring) legalities, but just as much as it protects you legally, your contract also lays the foundation of your relationship with your client. It sets guidelines. A good contract leaves nothing to chance, and leaves your client feeling secure. Could We All Achieve More by Working Less? Most people who work in architecture and design love many parts of their jobs. But that doesn't always equate to feeling that we have a happy balance between our work and other things we love — some of which may be related to, and extends our work, such as attending or presenting at conferences, research and writing, or contributing to the industry as a whole — as well as all the other things that are important in our lives, such as family, friends, health, and other interests. Does the architectural and design industry need to rely on long hours? Is it helping you, your practice, or your clients? Is it better to work smarter than to work harder? When it comes to your resume in the creative field, remember to go big or go home. These resume tips will help you revamp your resume in 30 minutes or less. The future looks bright for kitchen gadgets in 2015 — literally. Vibrant and retro color palettes dominated the annual International Home and Housewares Show, held in Chicago, where all the latest trends in home goods covered an expansive 13 miles of exhibits. What do stone countertops, freestanding showers, and newly-painted cabinets have in common? They were the projects for which homeowners most frequently sought to hire a home professional through HomeAdvisor.com in 2014. They're also the closest thing we have to a crystal ball for this year's home improvement trends, considering they're coming from a service that more than 30 million homeowners trust to help with their home projects. A survey of kitchen and bath designers conducted by the National Kitchen and Bath Association predicts a mesh of contemporary and Euro-style influences this year in both kitchen and bath projects. The spring issue of Custom Home spotlights a Southern California bath that delivers a spa-like sanctuary at only 170 square feet. The room's use of crisp geometry to marry intimacy with expansiveness may serve as inspiration for your next design. Offering surface, storage, and complete height adjustability, BOLD One takes customized workspaces to a whole new level. It couldn’t be simpler to adjust the height of the desk and any attached returns. From 22 to 48 inches, the surface and all its storage move at the touch of a button. Anyone who has seen a drought-dried vegetative roof, or read about a building that burned down because firefighters couldn't negotiate the solar roof panels to fight the fire, may automatically conclude that green buildings present a greater fire hazard than traditional buildings. But, according to a growing body of research, the conclusion that green buildings are less fire safe is simply not true. How they mitigate fire risk is the key consideration. What is the new model of urban planning? How do we move from the traditional model, which attempts to predict the future and then make a city work in that scenario, to a system of urban design, which is about achieving resiliency? This paradigm is not about a plan that covers every eventuality, but about making cities flexible and adaptable, and leaving space for future innovations and new forms of coordination. While products marketed as green, natural, and organic can appear to be better for the environment and human health, a new study finds that many of these products could be emitting VOCs from ingredients not disclosed on product labels. The study from the University of Melbourne examined 37 consumer products such as air fresheners, cleaning products, and laundry supplies, including those with green certifications in both fragrance and fragrance-free varieties. The research found 156 different VOCs being emitted from the products tested, of which 42 are classified as toxic or hazardous in the U.S.
News reports on a Johns Hopkins study recently published in the Journal of Hospital Medicine claimed that design features had little effect on patient satisfaction. Quite to the contrary, however, the Hopkins study indicates that design does cause patient satisfaction to rise. Looking deeper, the study shows patient satisfaction rose in 32 of 33 indicators. A modern chair. A sleek cafe table for your laptop instead of a bulky desk. A bed with a plush headboard for you to sit against. The features are all part of the new Holiday Inn Express "next generation" design for Europe. The redesign, informed by the research of design consultancy Ideo, includes everything from how you check in, to the look and feel of the room itself. Professors at Wharton report that physical stores have advantages that electronic ones do not; savvy designers will create spaces that support these benefits. Retailers with electronic stores are setting up physical stores, and "e-tailers are not opening stores that look like your parents' Sears Roebuck. They are reinventing the customer experience with smaller, more intimate spaces, focusing on delivering a special experience in addition to displaying products." How can we design work spaces that overcome the barriers to effective, life-sustaining use — ones that serve the higher good for people who use them, instead of trying to improve the workplace by using more tools, training, etc.? A workplace expert and Reiki master explains how to apply the Zen principles of simplicity, enclosure, and completeness to your next workplace project. From a lack of intuitive wayfinding, to poor acoustics, to a lack of contrast between walls and floors, many acute care environments are inadequately designed to support seniors. To help make acute care settings more senior-friendly, a number of essential design features are in order. Three design professionals pick some of their favorite new products for education interiors.